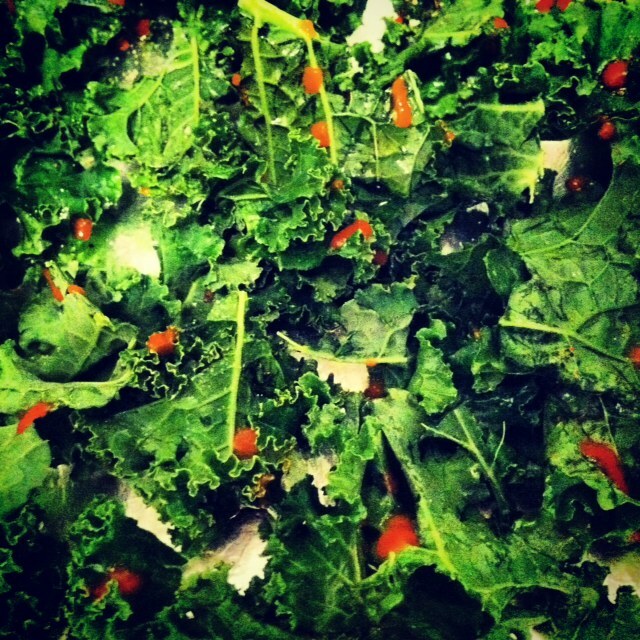 For those of you that follow this blog on a regular basis, you will probably start to notice my kale obsession. I don’t know if it’s my favorite vegetable, but if we’re talking leafy vegetables then kale wins. I think I owe my roommate Jackie for turning me on to kale. We eat it all the time. I’m proud to admit that we often use it as a substitute for Domino’s Pizza around 2:30 am on Friday nights. 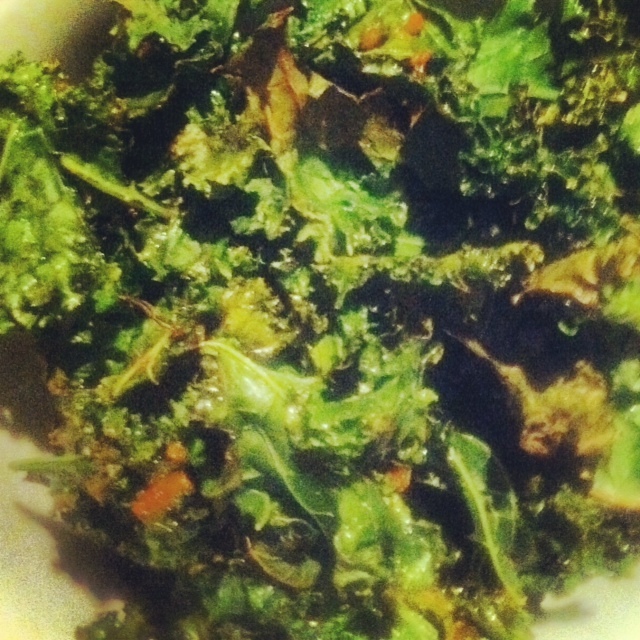 Now kale can be cooked a variety of ways– all of which are great, but my favorite way is to turn kale into chips. I should just do everyone a favor and start bringing these things to barbeques. Swimsuit season is right around the corner and everyone needs to put the Lay’s sour cream and onion chips DOWN, immediately. These by no means require domestic skill or fancy kitchen gadgets. Feel free to get creative and add whatever spices you have around…the recipe below just happens to be one of my favorites. It’s a little on the spicy side so be careful of that sriracha. 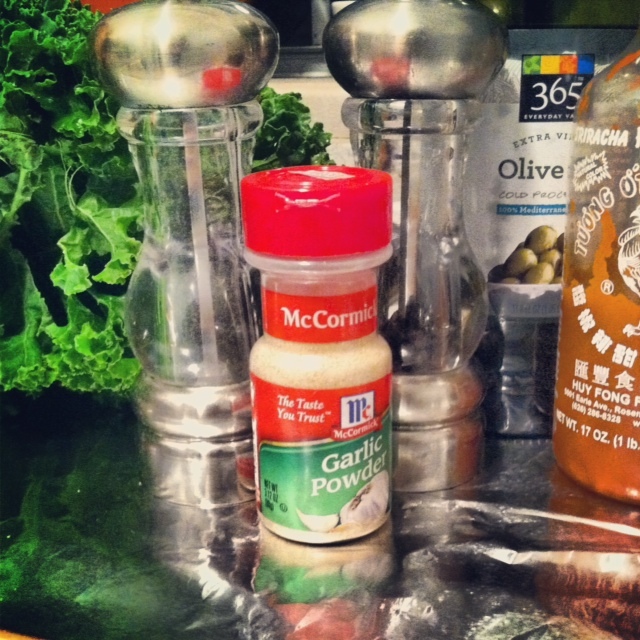 Add garlic powder, salt and cayenne. Mix with hands.